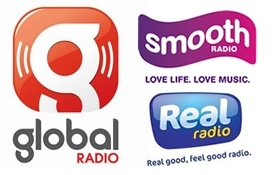 Global Radio and Real & Smooth Ltd (RSL) note that the Competition Commission (CC) will soon publish Global Radio’s response to the CC’s provisional findings into this transaction (as per the CC’s standard processes). As per the detail contained within the response, Global Radio believes that there is irrefutable evidence that this acquisition will not lead to a Substantial Lessening of Competition (SLC) in any of the regions identified by the CC, and moreover that there are significant benefits to advertisers and listeners which will result from the acquisition. • Global Radio has made a significant commitment to providing listeners in Scotland and Wales with brand new additional news programming in Scotland and Wales, the like of which is unique within commercial radio. • Advertisers will benefit from the acquisition through the ease of trading and accompanying pricing achievable through trading with an enlarged Global Radio. • Global has engaged leading third party economists to conduct a detailed assessment of each of the seven regions identified by the CC where there is a perceived risk of a SLC. Whilst not accepting that an SLC actually exists, Global has engaged with the CC’s standard process which requires provisional remedies to be proposed at this time, should they be required at the conclusion of the process. On this basis Global has proposed the divestment of three radio stations, RSL’s Real XS in Manchester & Scotland & Global Radio’s Gold East Midlands. Global Radio’s response is not to the CC’s final report, but only to the CC’s provisional findings with the CC’s final report due on or by 22nd May 2013. Radio Today also reported on this story earlier today as have The Guardian. Bauer have also issued their own response to the CC’s provisional findings.